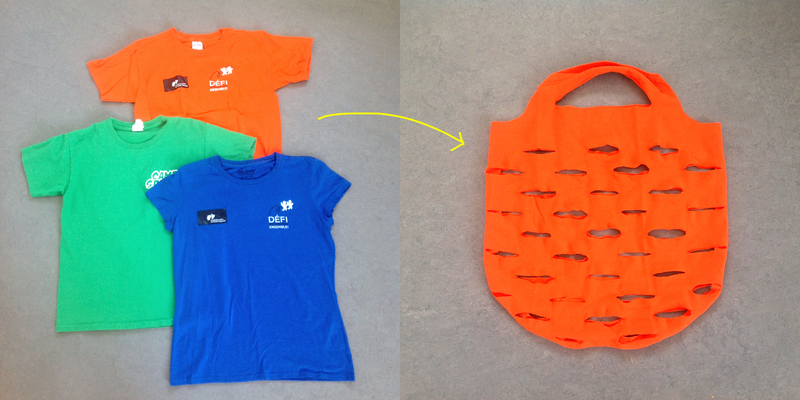 Weekend craft project: produce bags from summer camp and race t-shirts. It was easy, fun and super practical! Let’s face it, we all have t-shirts lying around the house we never wear. We get them at conferences and events then they take up valuable space in our drawers. 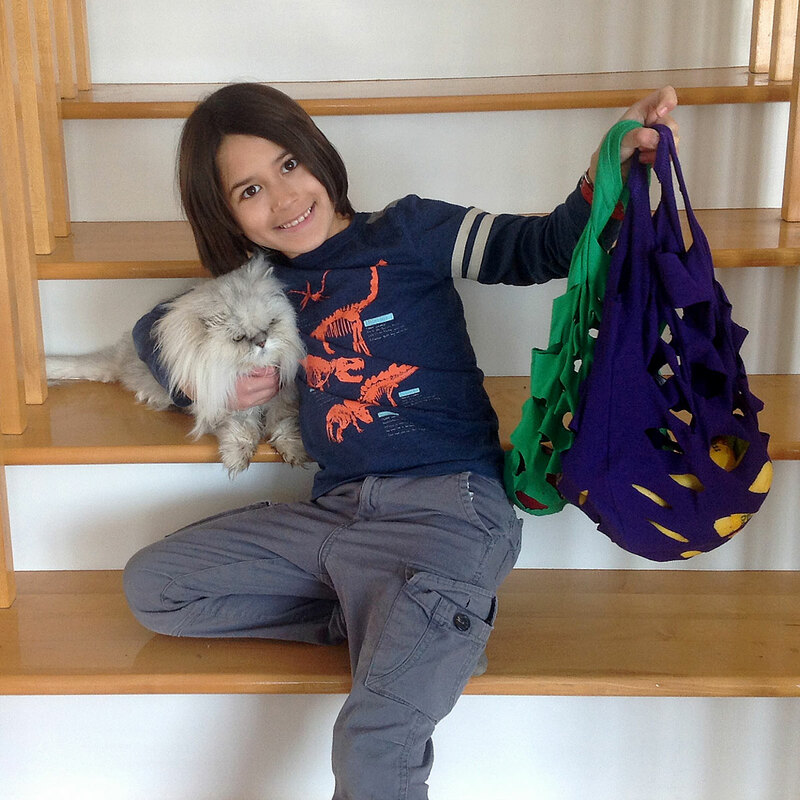 This awesome Easy Knit Produce Bag tutorial by Delia Creates puts those unused shirts to work. I loved how ours turned out. The bagger at our grocery story even complimented us on how sturdy they were. Happy zero waste shopping!